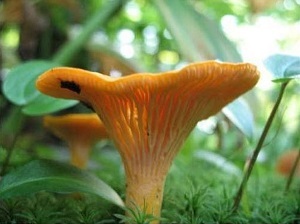 In the Northern Pindos National Park, the variety of fungi is extremely large (more than 2,000 species). The geological morphology and different geological substratum , the variety of tree species and the high rainfall create suitable microhabitats for many species of fungi. In 2007 the Association of Mushroom Club of Epirus was founded, which was the fourth such club in Greece. The aims of the Club are to hold mushroom-gathering expeditions and at the same time to disseminate the knowledge on mushrooms, to record the mushroom abundance in Epirus, to protect and preserve these fungal populations and promote among all stakeholders in Epirus an appropriate ecological awareness . Until today the club has been very active and has organized various events about mushrooms (expeditions, book presentations, scientific seminars, lectures at schools and environmental education centers, photo exhibitions, lectures, etc.). 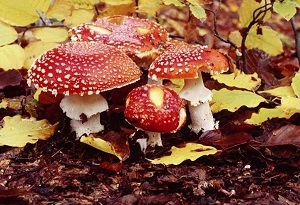 Among other events organized, is the annual mushroom celebration involving hundreds of people from across the country. Most mushroom celebrations have been organized in Zagori, initially in the Labriadeios School and later in PALASE.